Do you love salads as much as we do? I swear, I would eat one every day if I could. The best thing is, we don’t discriminate with the types. 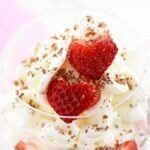 We love fruit salads, mayo-based salads, pasta salads, and green leaf-based salads. 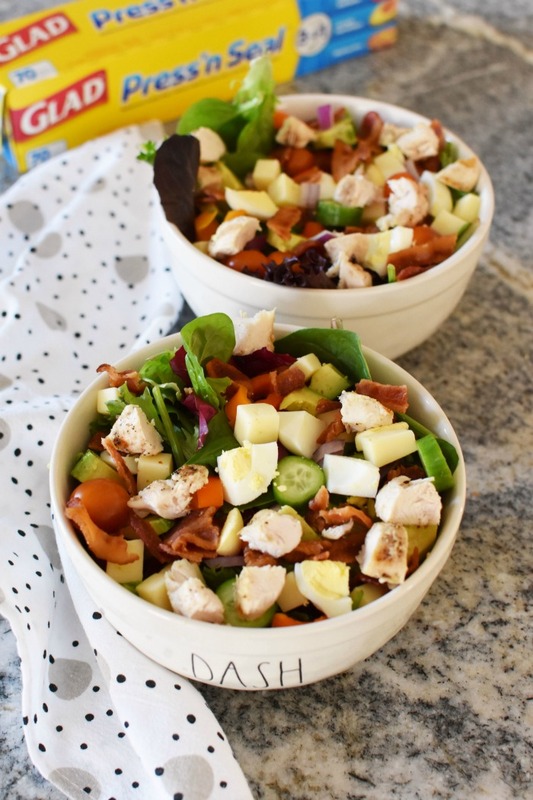 One of my personal favorites is chopped salad, especially when it can be made ahead of time. I don’t know about you, but seeing my fridge stocked with bright pops of colorful fruits and veggies makes me happy. There are a few proteins and vegetables that I always love to have cooked, chopped and ready to eat for quick bites. How do I keep my salad Ingredients Fresh? 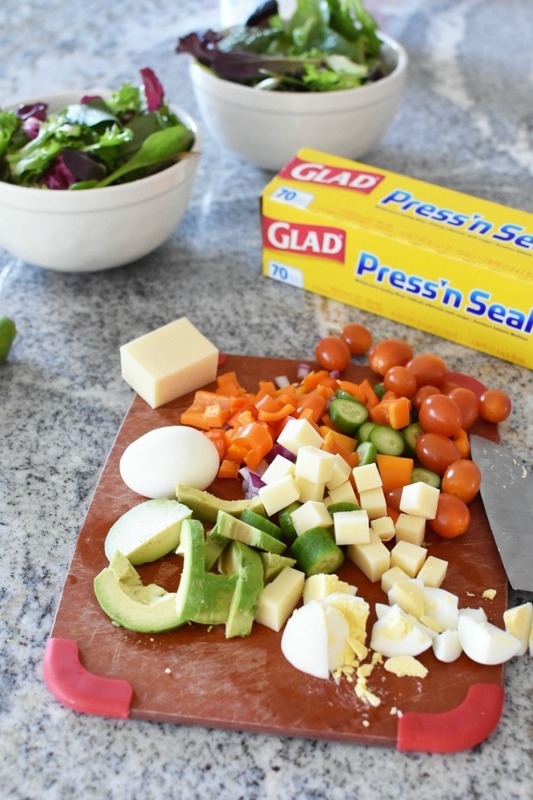 Since I am all about the make/prep-ahead meal ingredients, I love using kitchen musts like Glad® Press’n Seal® . You can find this kitchen hero at my favorite store: Target. I love shopping at Target for literally everything! They have the best brands and atmosphere, which makes picking up staples like Glad Press’n Seal more of an experience versus a chore. 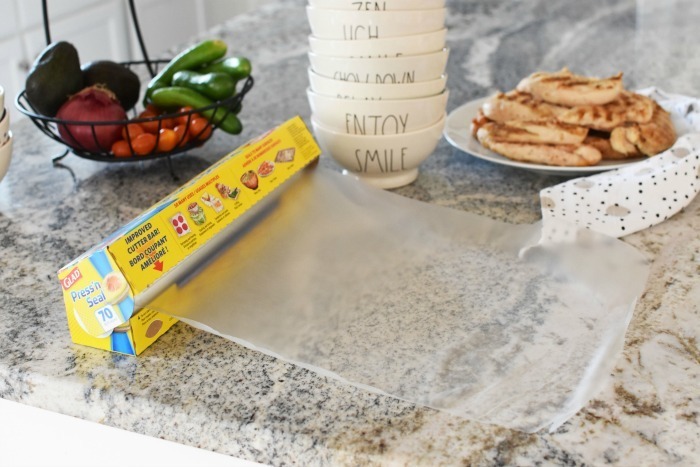 This product creates an airtight seal that keep foods like chopped veggies fresher, longer. Living a low-carb lifestyle has me reaching for fruits like avocados at every meal. I only eat half per serving, and used to try to use aluminum foil to keep the uneaten half good until the next meal. However, we all know how avocados can brown super fast. That is exactly what happened when I didn’t use Glad Press’n Seal. This product seals to a slightly sticky avocado cut in half, and it kept it green! In fact, Glad Press’n Seal adheres to almost any surface!! If you are like me, and love to batch cook proteins like chicken, and eggs using Glad Press’n Seal is a no-brainer. This affordable product using Gripex technology to multiple surfaces and itself. I love that I can create pre-portioned servings of chicken and stack them up nicely in the fridge for later use. 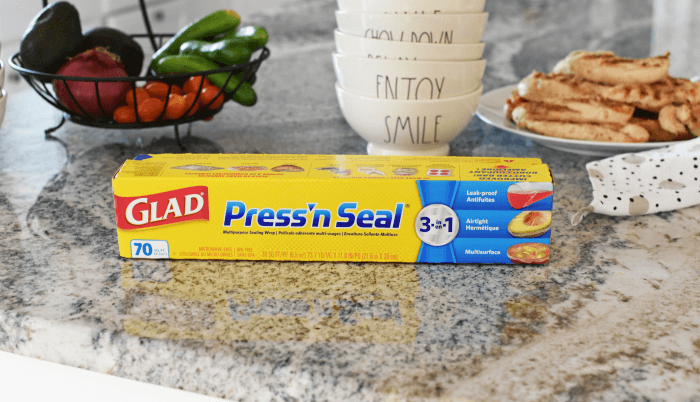 Glad Press’n Seal creates a 10x tighter seal than plastic wrap and seals to plastic, wood, metal, and more! Most importantly, it is BPA free, microwave safe, and of course, food safe! 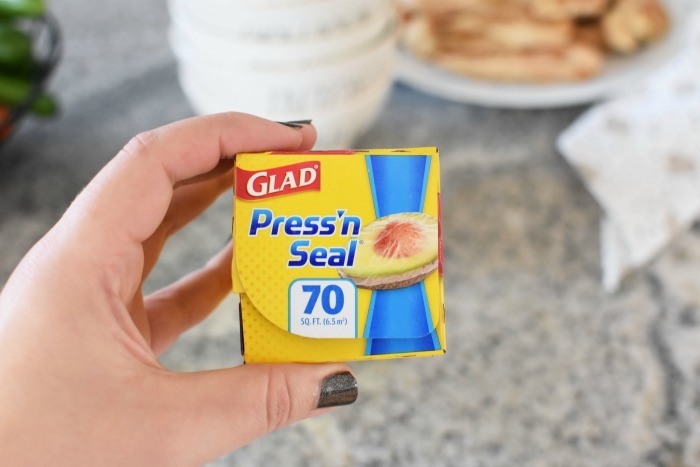 Using Glad Press’n Seal is super easy! You can wrap foods like chicken breast or eggs one of two ways. Option one is to remove a sheet 2x longer than the food you are wrapping. 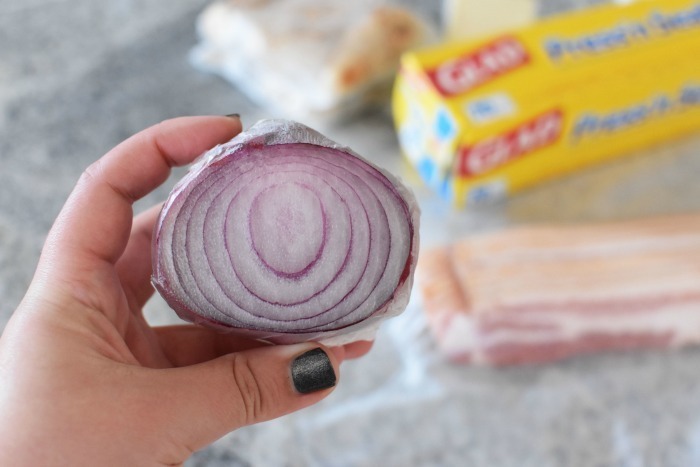 Place the item on the slightly tacky side, fold it over the food, and use your fingers to press the material together, making an airtight, sealed pouch. 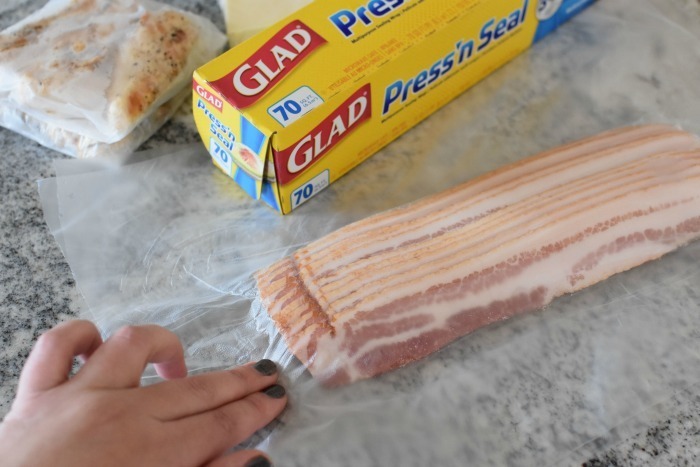 Another way you could seal it is by removing two pieces of Glad Press’n Seal (one should be a little longer depending on what you are wrapping). Place one side (sticky side up) with the item in the middle to wrap. Then, place the other sheet over the item, and press them together to seal them. Additionally, my favorite way to use this product is by wrapping leftovers or salad ingredients in bowls and creating an airtight cover over them. Simply pull out on piece of Glad Press’n Seal that is larger than the bowl size and use your fingertips to press the product in place. This keeps foods like lettuce and avocados fresh 3 times longer versus using aluminum foil. 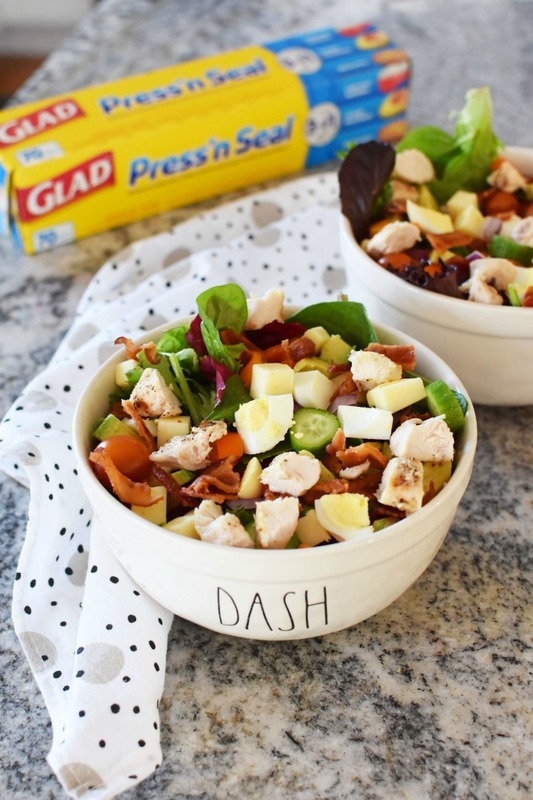 To show how amazing and convenient Glad Press’n Seal is, I wanted to share this Quick Chopped Salad Bowl that is perfect for a low-carb lunch or dinner. 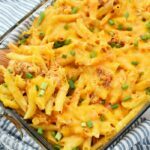 It is loaded with high fats and low in sugar and carbs, making it a delicious meal option you can make in the morning or at night for the next day! 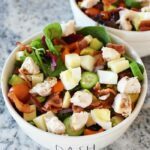 Make these Quick Chopped Salads in one day and have lunch for the next few days ready to go when you are! I prepped everything ahead of time so that I could enjoy these a few times with Jared. Thanks to the Press’n Seal, I was able to keep my chicken, veggies, avocado, and cheese fresh. I even assembled the bowls and created an air-tight seal with ease. Be sure to stock up on Glad Press’n Seal at Target. Save using this offer today! 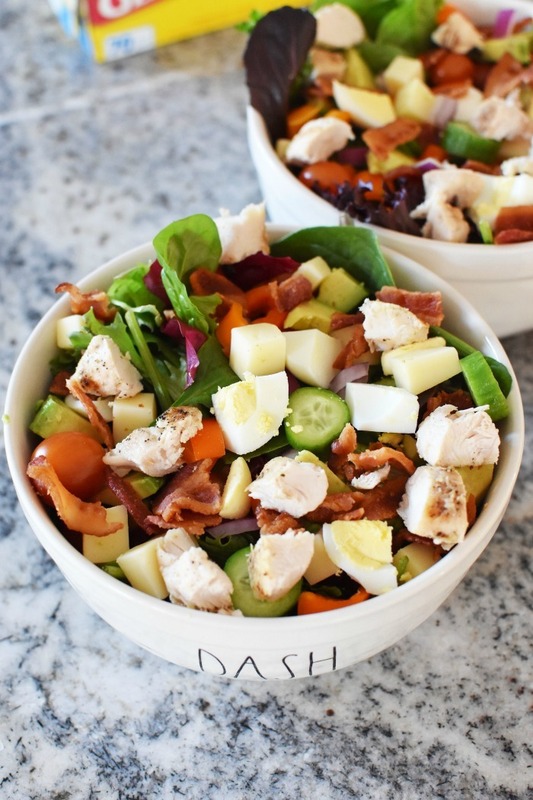 A fresh and delicious salad that is loaded with tasty high-fat foods. Make them ahead with ease with our tips for a quick lunch or dinner. Add greens to two large salad bowls. Add eggs, chicken, crumbled bacon & cheese. Add peppers, cucumber, tomato, and red onion. If making ahead, use Press’n Seal to wrap each bowl to keep it 3x fresher versus using aluminum foil. Before serving, drizzle with 2 tablespoons of ranch dressing (2 tablespoons per salad). Press and Seal is the best. I use it all the time and unlike other brands, it really works! That is one tasty looking salad! I love that I can make it ahead of time. It’s a great way to save some time! This looks so good! I love this idea for lunch too! Making a salad this awesome ahead of time is a blessing in disguise. I love using Press and Seal. I adore chopped salads and they make for a quick yet nutritious lunch. 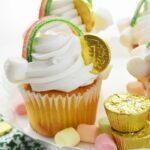 The idea of prepping a few in advance and eating them at my leisure sounds fantastic! Glad Press and Seal is a wonderful storage product. 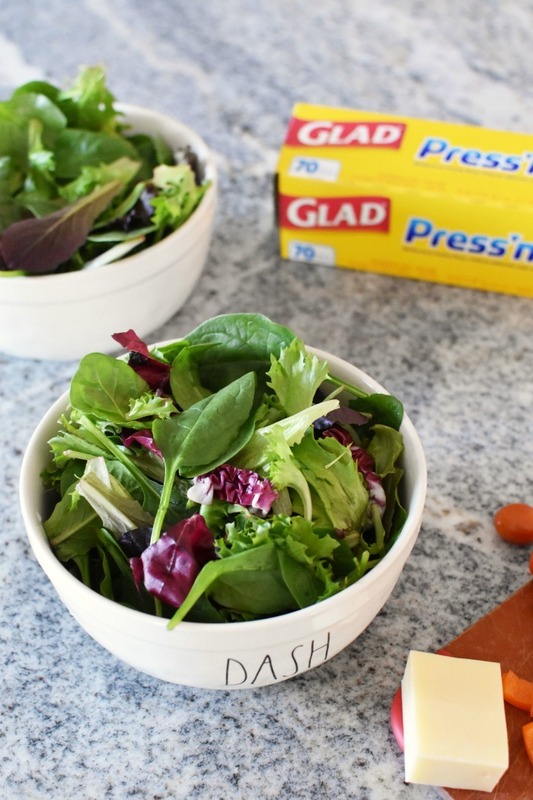 I love that you made this delicious salad beforehand, and used Press and Seal to keep it fresh. I love a good salad! 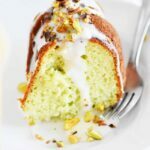 This one looks delicious and I cannot wait to try it. Salads are perfect for my busy days! You know, I just started using press and seal this holiday season! I couldn’t believe I never used it before! That salad sure does look amazing. I love it when you can switch up salads. I’ll be trying this recipe out for sure. I would love to have salads all prepped and ready to go. This particular one looks delicious. Press and seal is so useful in the kitchen. 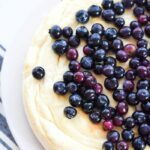 I use it a lot and it’s the easiest way to conserve the freshness of ingredients. Love it so much! I’ve been looking for new salad recipes! Yours looks amazing! I can’t wait to try it! I need to get this and use it for my bacon like you did. We are forever leaving the pack open and my bacon goes bad!